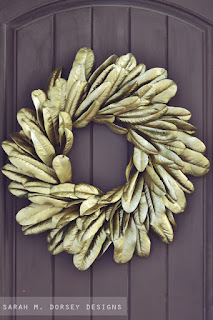 I've been seeing Magnolia Wreaths grow in popularity lately, probably thanks to Joanna on Fixer Upper. 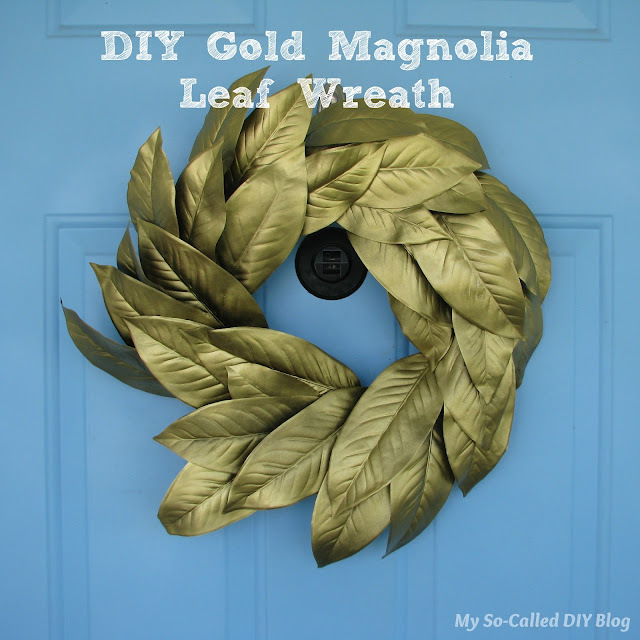 I had a magnolia leaf garland that I was thinking about turning into a wreath, but the leaves were a little large and I didn't feel inspired quite yet. She made her wreath using real magnolia leaves, but I decided maybe I could make the garland leaves that I have look a little more appealing if I spray painted them gold, as well. 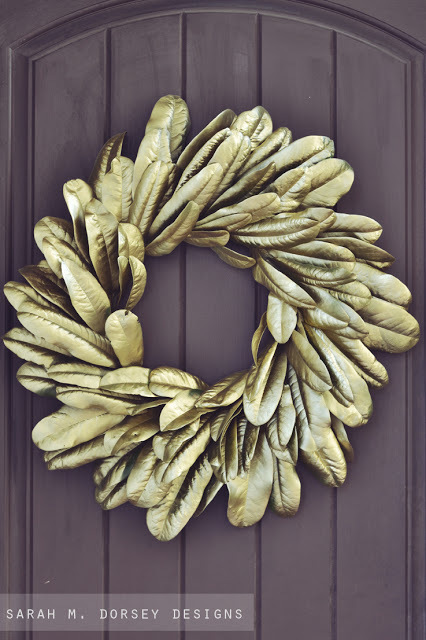 I got a 12" wreath form and sliced it down the middle, so it would lay flat against the door and have less surface to have to hide with leaves. Then I pushed holes with a pen (a screwdriver also works great), filled them with glue and then pushed the leaf in. I ended up with about three leaves across. I moved around until it was full. 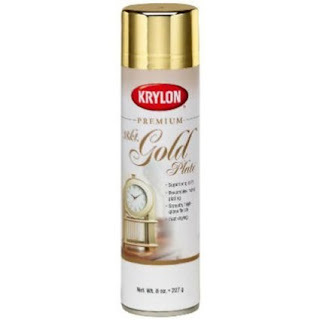 I spray painted using Krylon Premium Metallic Gold Spray Paint (affiliate link) which I bought a while ago to use on a project, but never ended up using. The can was a little smaller than regular spray paint cans, but it had good coverage, so I still have about half a can left for another project. 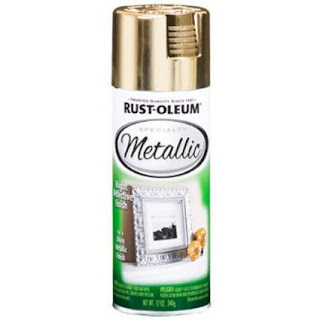 Also, if you have Amazon Prime, you might want to try Rustoleum Specialty Metallic Gold (affiliate link). This is a cheap add on right now for a regular sized can. I've tried the silver version of this spray paint and it was impressive. Once it dried, I lightly shook it to see where the leaves might move and filled in any green spots with gold. Then I tied a ribbon around the top under the leaves and hung it on my door hook. I like the way it pops on my blue door!